San Francisco love - Website of seatondelongdesigns! 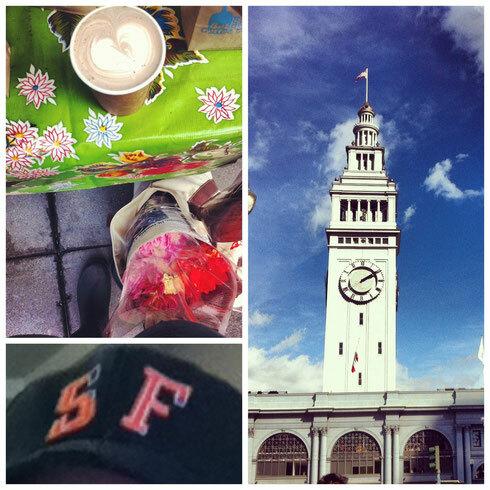 Feeling the San Francsico love today. Last night the giants made it into the World Series, again. But the love for the local sports team isn't the only thing in the air, a crispness that is fall makes it perfect for adding another cozy layer and heading off to the farmers market. With some fresh fruit, veggies, and flowers the only thing that could complete the lovely excursion was some Blue Bottle hot chocolate. Love you for this share!!. Hi my name is mike mow and I am working in <a href= http://www.writemyessayz.co > custom essay writing service </a>. I had gone this place due to my work.